So many devices rely on things other than traditional AC outlets for charging. There are tons of devices that go with USBs instead. That number only keeps growing. It is to the point where there aren’t enough USB ports on computers to get things done. We need these kinds of ports in our walls. Fortunately, the Power2U lets you do exactly that. This is a new power outlet you can put in your walls that gives you two USB ports in addition to standard power outlets. 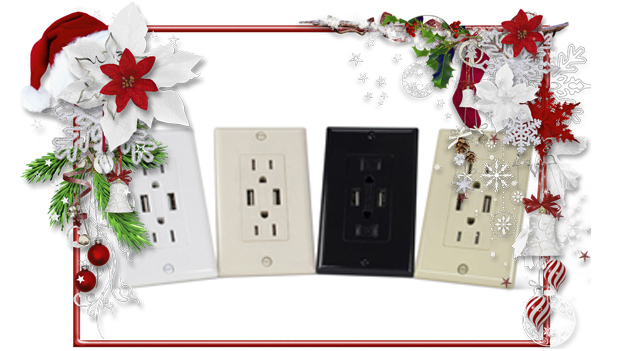 The Power2U is compatible with almost any electrical box. It is also completely safe, as it complies with the National Electrical Code and is listed by Underwriters Laboratories. It just gives you two outlets and two USB ports wherever one is installed. It is unobtrusive, blends in thanks to its four color options, and works with gaming systems, mobile devices, and phones. For $24.99, it gives you a power option you probably didn’t realize you needed. For more product details on the Newertech Power2U, click here!